Mark Your Calendars: Free Comic Book Day 2016! Have you been thinking about getting in to comic books, but not sure where to start? Would you like to start reading them but don’t have the funds? Free Comic Book Day 2016 happens this year on May 7th, and is your chance to grab some good introduction comics, and the best part is, they’re free! Keep in mind that the comic shop does pay for the free comics, although they are much cheaper than regular releases, so follow the rules, as some shops will only allow a certain number of comics per person. Be courteous to others who are also interested in getting in to comics. Feel free to dress up and meet other comic fans! The list of free comics that will be offered is located here. Each store will have limited availability, and might not have all the comics listed on that page, as each store has to order what they would like. The spread this year is pretty awesome as it covers a ton of different nerdy topics: From Doctor Who to Bob’s Burgers and Firefly, to movie tie-ins like Civil War and Suicide Squad. There’s also some for the younger comic fans, including Grumpy Cat, Spongebob Squarepants, and Sonic the Hedgehog. 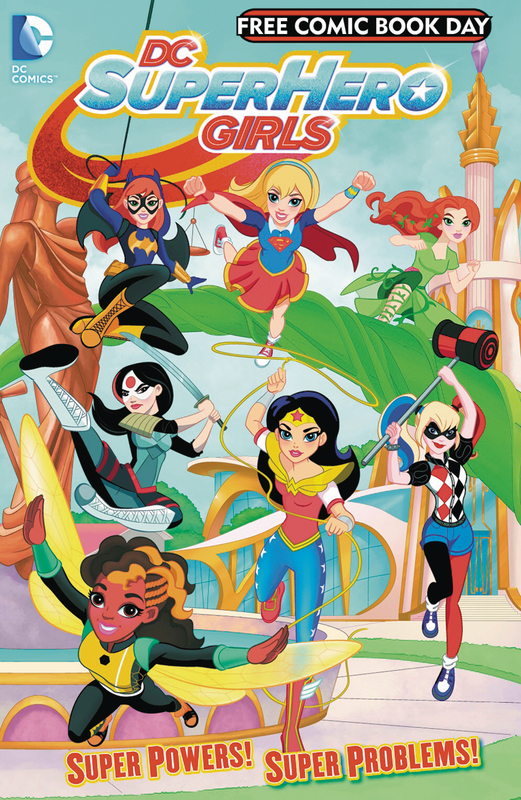 Some other comics of note include Con Man’s Spectrum, the comic tie-in for Nathan Fillion and Alan Tudyk’s popular series Con Man and DC Comics’ DC Super Hero Girls. Dark horse is also supposed to be sharing a look at The Legend of Korra. Plan on showing up a little early if you’re interested in a few comics, as in my experience, the comic book store is insanely busy on FCBD. In some areas, even plan on waiting in line. Also bring a little money with you, as lots of comic shops have sales on their action figures and other comics specifically for that day, and it’s always a good idea to support local comic shops. Don’t forget to check with your local comic book store to see if they have any events scheduled, as mine will often have artists signing or Magic: the Gathering tournaments. Most importantly, have fun! FCBD is a day to introduce comic book fans (new and old) to some new comics and to meet others that share your interests. ← Previous Story The Rogue One Trailer has dropped! Damn, girl, it looks great!